What would princesses look like in real life? Maybe nowadays they will be Modern Princesses. Can you imagine meeting Cinderella in your local café or going to Pilates with Snow White? Let’s bring your favorite characters to life with this event! 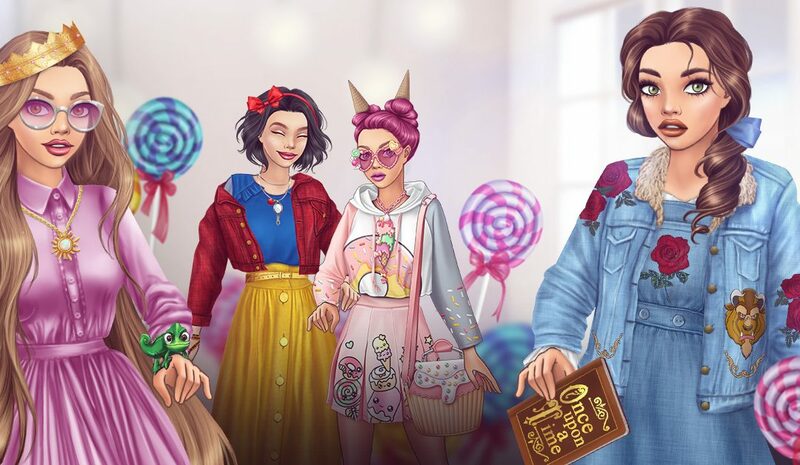 Here is the new event in Lady Popular – Modern Princesses. Now it’s your chance to meet a real princess and get amazing rewards! Some super potions, available in the game, will help you win! And it is easy to play! Just press the button and move a square further. Every 2 hours you can make a free move, thus closing the next outfit. If you are out of patience, then you can pay in diamonds! Have fun and enjoy the Modern Princesses event. Which is your favorite princess?